The right wedding songs can make for the right wedding. Planning a wedding involves many, many decisions, and music selection is certainly one of the key calls a couple must make. While some people simply tell the Wedding DJ to play the hits, choosing the right songs can often make the difference between a ho-hum party and a blow-out of a wedding. Here’s why your song choices matter, and how to make the right ones. Weddings are events in our lives rich in tradition, which is a nice way of saying that you’ve got a lot of people to please. Whether it’s meeting religious obligations with your ceremony, or just trying to make your family happy, you’ll often find that your wedding is less about what you want and more about what you’re negotiating with family members and others. It can often feel like you’re the one paying for someone else’s party. So picking your wedding songs is a good way to help ensure that your celebration is completely yours, especially with a DJ that knows how to mix them. Music is a powerful force and can set the tone in ways that can surprise you, even if you think it’ll only be in the background. 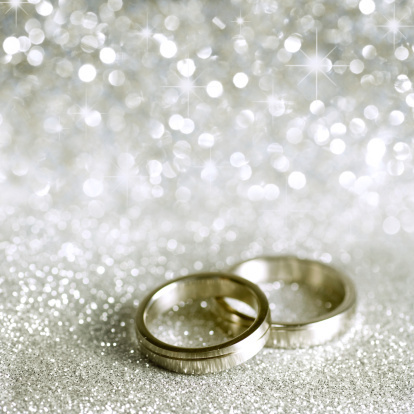 Make your wedding as distinctive as your rings. Part of any wedding song selection is getting people out on the dance floor, whether you’re playing classic dance hits, modern chart-toppers, or an eclectic mix of both your tastes. Getting people dancing is the hallmark of any good wedding song, and a well-chosen mix will get everybody from your grandma to your little cousins moving. A good wedding DJ will measure the tone of the room, and use the songs you’ve chosen to get people dancing and enjoying themselves. Be prepared and make sure your dj has all the most?Requested Party Songs?for your wedding reception. Let’s face it, there are songs that we just don’t like, and there are people that we love who have, well, um, questionable musical tastes. Setting a list of wedding songs allows you not only to define your wedding, but keep well-meaning relatives from accidentally defining it for you. After all, you want to see your disco-loving uncle, not his record collection, at the ceremony. If you give the DJ options, you’re also giving him what he needs to rebuff a request for the greatest one-hit wonders of the ’70s, no matter how well-meaning. Finally, the best reason is simplest; it’s fun to pick out the songs you love for your wedding. You can choose what you most want to hear at one of the happiest times in your life, and with?the right DJ, you can weave the music that’s important to you into the beautiful tapestry that is your wedding, giving the songs you love a new meaning that will linger with you for life. Your first dance as husband and wife will likely stand out in your memory for the rest of your life. How can you make sure these treasured moments go smoothly? Most couples haven?t had formal dance training, but with the popularity of shows such as ?Dancing With the Stars,? couples feel nervous about putting their arms around each other and simply swaying to the music. Take a few dance lessons in the weeks leading up to your wedding. Don?t worry about putting on a show or learning difficult moves. Some basic dance steps will give you both the confidence to glide gracefully across the dance floor, impressing your guests. Well in advance of your reception, find out where the light switches are at your site and learn how to dim the lights. Assign this task to someone trustworthy so that he or she can dim the lights when it?s time for your first dance. Not only is it romantic, it will give your DJ the chance to shine your custom monogram or wedding logo onto the wall or onto the dance floor. Check with your Wedding?DJ to see what services they might be able to provide. Dimming the lights can also let your guests know what is next on the agenda. If the lights are dimmed for your first dance, as soon as that dance is over your wedding DJ is ready to get the party started with disco lights zigzagging and creating high energy to let the guests know it?s time to dance. The song you choose for your first dance may be ?your? song, so the choice has already been made. But if you?re not sure about a song, how do you narrow it down? One way to choose is to decide what type of dance would you like to kick off the reception ? slow dance, fox trot, swing, waltz? If you?re taking dance lessons, ask your instructor for suggestions. Once you have chosen the type of dance, it?s time to choose the song. ?At Last? by Etta James, Celine Dion, Nat ?King? Cole or Beyonc? ?A Wink and a Smile? by Harry Connick, Jr.
Another way to make the decision is to make the song itself the top priority rather than the dance. How about the song that was playing when you met? A favorite song that the two of you share? A song with lyrics that have special meaning for you? Now that you have a song in mind, ask your dance instructor or your wedding DJ for suggestions about the type of dance that would be most appropriate. Whichever song and type of dance you choose, take a deep breath, look into each others? eyes, and enjoy those minutes alone on the dance floor before your guests join in.